Have you ever wanted to know how much feed is in the feeder? 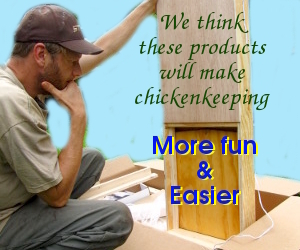 Prepforshtf.com has a clever project that lets you know when your chickens don’t have any feed without going into the coop to look. Gravity pushes the red flag when there’s no feed to hold it in place.